From 1 January to 30 June 2019, enjoy greater savings on your fuel purchase at Caltex with your Standard Chartered Credit Card. From 1 January to 30 June 2019, enjoy 16% upfront discount on all fuel purchase when you pay on CaltexGO App with your Standard Chartered Credit Card. + Additional 2% instant discount is applicable to Valid Users for the first fuel payment on the App on the gross amount purchased before applying the Standard Chartered Rebate. * Please note that the (1) qualifying period for the fulfilment of the minimum monthly spend condition^ and (2) eligible retail spends for the Standard Chartered and Caltex 2019 Promotion, differ from that for the Unlimited Cashback Credit Card. In order for a Cardholder to qualify for more than 1 type of rebate concurrently, he/she will need to meet the relevant criteria for each type of rebate during the same relevant period. Please refer to the individual Terms and Conditions at the websites set out below for details. ** The Standard Chartered 10.80% Rebate and Standard Chartered 4.50% Rebate amounts will be credited to the Card account by the 28th day of the next calendar month. To illustrate, the Rebate amount earned in January 2019 will be credited by 28 February 2019, capped at S$200 during the Promotion Period. Start using your Standard Chartered Credit Card at Caltex to enjoy the fuel savings now. Terms and conditions apply. Get the perfect gift with the perfect card. Apply now to get S$100 cashback4 . 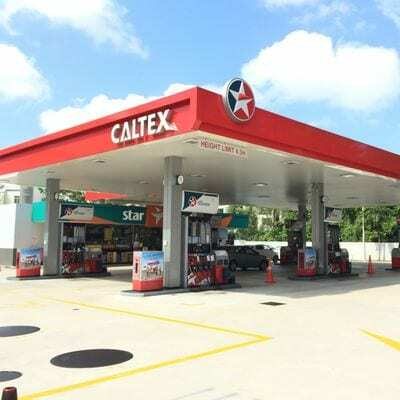 Under the Standard Chartered and Caltex 2019 Promotion held from 1 January 2019 to 30 June 2019 (both dates inclusive), Cardholders get (i) 16% upfront discount (inclusive of 5% site discount) on Caltex Platinum 98 with Techron® petrol purchases or 14% upfront discount (inclusive of 5% site discount) on all other Caltex fuel charges and; (ii) an additional 10.80% Standard Chartered rebate (for Standard Chartered Visa Infinite and Priority Banking Visa Infinite Credit Cards (“VI Cards”)) or 4.50% Standard Chartered rebate (for all other Standard Chartered Cards that are not VI Cards) on transacted amount with Standard Chartered Credit Cards at Caltex. Additional Standard Chartered rebates are subject to a minimum spend of S$600 on total eligible retail spend within the same calendar month. The maximum Standard Chartered rebate Cardholders may receive during the Promotion Period is capped at S$200. The Standard Chartered and Caltex 2018 Promotion Terms and Conditions apply. Visit https://www.sc.com/sg/terms-and-conditions/caltex/ for the list of eligible retail spends and full Terms and Conditions that apply. Unlimited Cashback Credit Cardholders can earn up to 1.50% Cashback on eligible card spends, including the transactions at Caltex. To earn Unlimited Cashback, Unlimited Cashback Credit Cardholders must charge the eligible retail spends to their Unlimited Cashback Credit Card. The Standard Chartered Unlimited Cashback Credit Card Terms and Conditions apply. Visit sc.com/sg/unlimited-tnc for the list of eligible retail spends and full T&Cs that apply. As such, an Unlimited Cashback Cardholder can get up to 21.04% in fuel savings if all conditions to qualify for the 4.50% Standard Chartered rebate and 1.50% Unlimited Cashback are met within the same relevant period^. ^ Note: The meaning of ‘month’ and hence, minimum ‘monthly’ spend for the purposes of the (i) Unlimited Cashback and the (ii) Standard Chartered Caltex rebate are computed differently. For Standard Chartered Caltex rebate: the Cardholder needs to meet the respective minimum spend in that respective calendar month. Therefore, for a Cardholder to qualify for both rebates concurrently, both criteria must be met during the same relevant period. 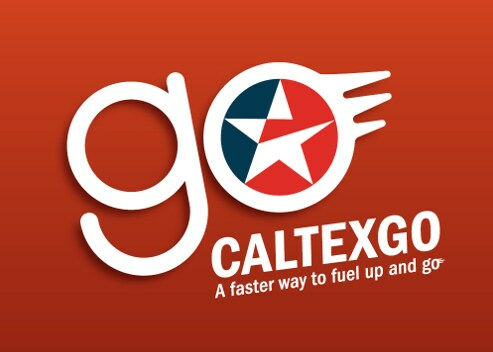 CaltexGO (“App”) instant discount promotion (“Promotion”) is valid for successful registered. CaltexGO users (“Valid Users”) from 1 January 2019 to 30 June 2019 (“Promotion Period”). 16% instant discount Promotion is applicable to Valid Users with Caltex fuel payment made with any Standard Chartered Credit or Debit Card on the App during the Promotion Period. +Additional 2% instant discount is applicable to Valid Users for the first fuel payment on the App on the gross amount purchased before applying the card discount Promotion (if any). This Promotion is valid only for fuel payments made via the App. This Promotion is not valid for purchases made with Cabbie21, Diesel Programme, Caltex StarCard or StarCash card. This Promotion cannot be used in conjunction with any other special barcode offer, discount, privileges or promotions, unless otherwise expressly authorized by Chevron Singapore Pte. Ltd. (“Chevron”). All prevailing backend offers and rewards offered by Chevron’s bank partners shall continue to apply. Chevron shall not be liable for any loss or damage arising in connection with this promotion. These terms and conditions may be amended by Chevron at any time without prior notice. All decisions made by Chevron will be final. Visit https://www.caltex.com/sg/motorists/products-and-services/caltexgo.html for details.